Receiving a trademark infringement cease and desist letter can be stressful and confusing. One way to reduce the stress and confusion is to understand how to best respond to a trademark cease and desist letter. As always, you should consult with an attorney if you receive a trademark cease and desist letter, but this post is intended to provide you with some insight into how attorneys analyze these issues. Identify the relevant parties. Who sent the trademark cease and desist letter? Were you aware of the complaining party prior to receiving the cease and desist letter? Have you received any prior correspondence from this party? Collect all correspondence and evidence. If you received prior correspondence concerning this issue, collect and save that correspondence within a central location. Additionally, collect all relevant information concerning the complaining party’s trademark rights. If the complaining party owns a registered trademark, examine the US Patent and Trademark Office’s prosecution history. Identify priority dates. Did the complaining party use this trademark prior to you? If so, note the date. Also, note the filing and registration dates of the complaining party’s trademark registration. Identify the goods and services. Trademark rights are intended to protect against a likelihood of consumer confusion. If the complaining party uses the mark in association with entirely unrelated goods or services, trademark infringement is less likely. Identify potential defenses. 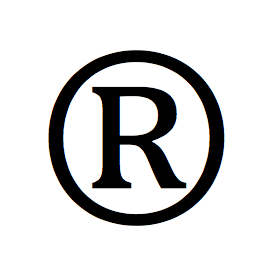 Are you currently using the trademark in a descriptive or generic manner? Are you using the trademark for parody purposes? If so, identify these defenses and collect evidence to support them. Hire an attorney to draft a response to the trademark infringement cease and desist letter. A trademark attorney that is familiar with the most recent case law will identify the appropriate defenses, advise you on your risks, and draft a response letter based on his or her analysis. Consider filing for trademark registration. If you do not face risk, a trademark lawyer may advise you to file for your own trademark registration to preserve your rights in the future. These are simply some general considerations when responding to a trademark infringement cease and desist letter. Trademark infringement carries heavy penalties: up to $2 million in statutory damages plus costs and attorneys fees. Consequently, it is important to contact a trademark attorney as soon as possible if you have received a trademark infringement cease and desist letter. If you have received a trademark cease and desist letter, contact the trademark lawyers at Revision Legal today at 855-473-8474 or complete the contact form to your right. Terms of Service Lawyer How Do You Get Out Of A Non-Compete Agreement?